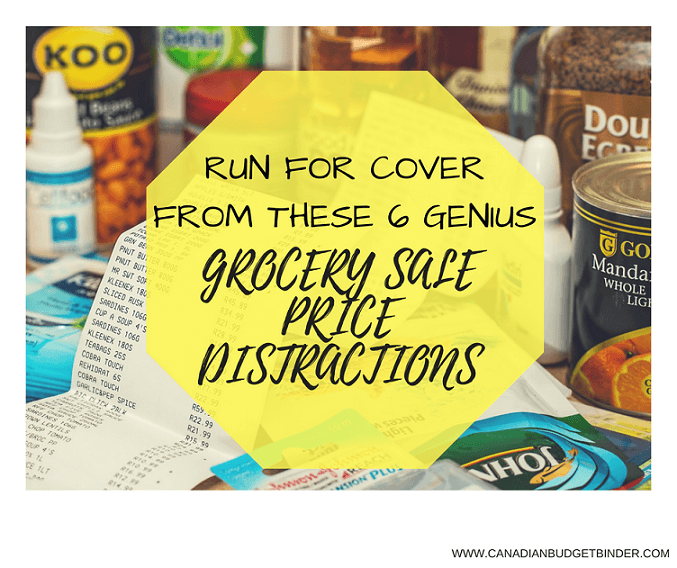 SALE PRICE DISTRACTIONS BECOME A PROBLEM WHEN THEY DON’T HAVE A PLACE ON YOUR GROCERY SHOPPING LIST. Sale price distractions are everywhere, not just the grocery store. You only have to think back to holiday shopping and understand the power of sales and marketing. It’s easy to say yes even when you want to say no. Every once in a while I get an email from a reader who is struggling with their grocery budget. What I always find interesting is that most of the concerns are typical to most shoppers. They are not new concerns, they are just new to them and can become a burden on their monthly budget. Let’s read what CBB fan Sophie has to say about her grocery shopping dilemma and offer her some tips to get her back on track. I am a single woman in her 30’s who struggles to keep her grocery budget balanced. You would think it would be easy since I’m grocery shopping for one however it’s harder. I’m a person who likes to stress eat which means I’m an easy target for sweets and snack items. My grocery budget allows for me to spend $85 a week and still struggle to get it right. I know I’m not alone but if I ask someone how to fix this they’d probably laugh at me because it’s grocery shopping. How hard can it be? 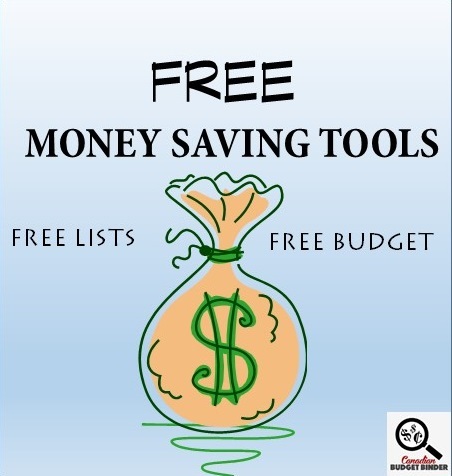 You make a create a budget, make a list and shop. Nope, easy isn’t good for me I guess which is why I need some help. Thankfully I found your blog and have learned so much by reading your Ultimate Grocery Shopping Guide. Depending on the day, time of day, mood, weather and price pushers at the grocery store I fail this budget of mine. One of my biggest problems or as I call them, “excuses” is that I sabotage myself with grocery store sale price distractions. What I mean is that I go to the grocery store with a plan which includes my grocery list, cash envelope and motivation to stay with-in budget and I often find I fail. I’m only fooling myself by reaching for my credit card or extra cash I have on hand to pay for added expenses I never intended on spending in the first place. What do you suggest I do and are there any other sale price distractions that I should be aware of? Sometimes I feel like I’m missing the mark when it comes to food shopping and marketing. Thanks for stopping by to read and send me a question about your grocery shopping concerns. It’s always nice to know that Mrs. CBB and I are not alone in our plight to fight grocery store marketing that typically eats up our food budget. Have you ever said to yourself, “Oh I need to try that”? Probably, we all have. This is your mind taking over your stomach which can cause a nasty fight between pondering to buy something or not. I’ve been told not to shop when I am hungry and although I still believe this I don’t think it works for everyone. I’ve been to the grocery store full and still spent money I didn’t need to. It truly is a whirlwind especially when we see how prices of food go up and down. I believe we train ourselves to think ahead and if we find a deal that is too good to be true we think about the future. In retrospect that’s not a bad thing and it can save you money only if you have the spare food budget space to fit it in. The problem gets emotional when money moves from other budget categories to pay for overspending. There has to be a fine line as to where you will stop and where you will begin your grocery budget journey. I can tell you from experience that it’s easier said then done. We are almost 6 years into this Grocery Game Challenge and still struggle to say, No. I will admit though that when we leave the grocery store with only what we needed we feel far better. In the event we stumble upon a sweet deal we also feel good about our shopping choice IF it was a product we would purchase in the future and if the price was right. There has to be a true savings factor in it for us. For example: We like to have mince beef in the house. A club pack at Zehrs or even Costco will run shoppers well over $20. When it goes on sale at the grocery store between $15-20. Then there are REALLy good sales at the grocery store and you find the beef on sale for 50% off the price $8. Do you buy a couple extra to add to your freezer stash? This would save you upwards of $20 on beef mince in the future or do you walk away and keep shopping? The answer is always based on what your needs are and how much budget money you have to spend. Most months we have a carry over to clean up but that happens when deals like the mince come up. Did I budget for them? How will the excess affect my eating habits if I buy more than what I planned on buying? Most often when we stock up on junk we don’t really need it becomes a hub for overeating unless you have strict self-control. Who does? I can remember a time Mrs. CBB and I found a great deal on Lindt chocolate bars for $0.50. Yes, that’s a great deal but we didn’t need them in the house because chocolate is just a treat to us. Having excess of something we don’t need motivates us to keep dipping our fingers in. Let’s not forget that expiry dates exist as well. Forget about it and you’ve wasted money. Check out these genius sale price distractions and consider them next time you shop. If you’ve fallen prey to any of these tactics the genius in their plan worked. Not everyone is mindful of behind the scenes marketing plans. You might know of them but the next person doesn’t. This is why we should all share our savings knowledge with each other. Have you ever been grocery shopping minding your own business when all of a sudden a voice on the P.A system tells you about an hourly special happening right at that moment? I think we all have and these types of sale price distractions meant to confuse you into buying something you don’t really need. If you’ve made your way to the special just to see what it was you’re half way to buying it and they’ve won the marketing battle. This is our weakest link for the CBB family although we’ve tried to sub-out if we find something worth buying like the beef sale we picked up this week. (See our shop below). Instead of buying chicken thighs and pork chops that were on our grocery list the beef took precedence because the price was too good to pass up. This situation came to mind right after we got back from holidays and made a trip to Costco. While walking up to the cash register we passed the last aisle closest which is the junk food aisle. (convenient huh?) A nice sample lady offered me a coconut cookie from Voortman and I was sold, kind of. In my head I was fighting the urge but she kept pushing doing her job. No word of a lie this was going on and I didn’t even have time to answer her in between her trying to motivate me to buy them. She even offered me a second cookie just because she thought she could hook me. The idea is while I’m crunching away and can’t talk because my mouth is full she’s pulling out all the tactics to get me buy a box. Mr.CBB- “I can make them at home for less” and I walked away. Damn, they were good though. The buy more save more sales price distraction almost forces consumers to buy more because they can save more, so they think. If you aren’t going to use the products it’s a waste and check other products that might be cheaper by reviewing the unit price. This happened to our son at the grocery store yesterday when he wanted to buy a pack of Smarties. The Smarties were $1.00 each if you bought 2 or $1.29 each. They also had a large container of Smarties for $2.99 which was 4 times the size of a box of small Smarties. Guess what he bought? Well, we went with the $1.29 Smarties because he really doesn’t need a large container as no one else eats them here. If you were to look at unit price for what you get any smart shopper would say pick the large container. They are right. It’s cheaper. My point is buying more is not always cheaper. Those Price Lock deals that we see at the grocery store are a joke in my opinion. Just put the proper price up and leave it alone. Telling us it is a Price Lock is like trying to tell us that we made a great choice shopping at said store when in fact most stores have the same price anyways. Wording is everything as is knowing your prices. I’ve always worked weekends so I was never summoned by the weekend special flyer sales which lure shoppers in on three of the busiest shopping days of the week. Ideally, if they can get you through the door with these doorcrasher deals they have achieved their goal. How many of you go in for just bread when you need bread and end up spending far more than anticipated? Well this is the premise behind these 3-day sales. My advice to you is to stick to the plan and only splash out on any of the above sale price distractions if you were going to buy it anyways OR the price is right. Be warned though that you may need to adjust the next weeks grocery shop to make up for any differences or move it to the following month to catch up. I know many of us find it hard to pass up a good deal but if you add a deal consider removing something from your grocery list if you can to balance it out. Don’t be afraid or embarrassed about the grocery store and any issues you may find wallet draining. At least you are speaking up and wanting to do something about it. There are more people spending far more than they need to which happens because there was no lack of planning. The grocery stores rely on these shoppers to balance out the frugal-minded consumers. The choice is yours where you stand – Balanced budget team or Who needs a budget? team. If someone chooses not to budget don’t cry about spilled milk, they knew it could happen yet did nothing about it. Now is your chance to get it right. I hope this helps you a bit Sophie and please report back to let us know how you are doing. Discussion Questions: What other sale price distractions would you suggest Sophie avoid at the grocery store? 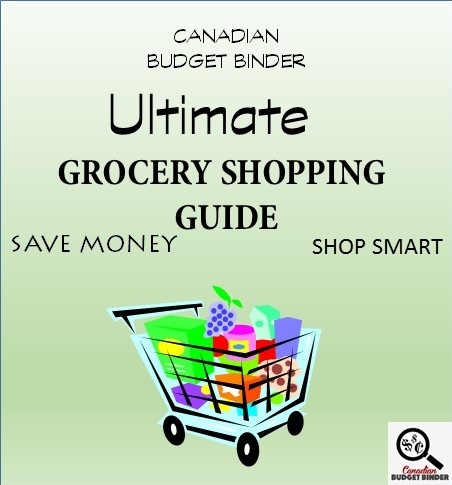 How do you suggest she keep on budget without being swayed into buying something she didn’t have on her grocery list? Winners June and July : June Ballot#4 and July Ballot #2 – Congratulations Dee and April!!! Contact me for your prize. We had a great shopping week finding deals on meat that we had not planned to buy but we had other meat on our list that we removed to balance our budget. It’s not easy to pass up deals on meat either since it is so costly especially if you know you will eat it. Mrs. CBB eats lots of beef and chicken so it works out great for both of us. This is the total spent for two adults and two toddlers. I fell into the trap of buying extra because of sales. The pepper jack, yoghurt, chicken, Broccoli, vegetable broth, salmon and second pkg of cream cheese were not on my list. Regarding the meat…that was a deal too good to pass up. I saved over $9 on that meat! The rest were mainly impulse buys, especially the yoghurt and pepper jack. I would have spent $34.66 less if I would not have gotten those groceries and would have been under budget. Another thing I was shocked about when I got home was the price of plums. $8.14 seems a bit steep for 6 plums. That is something I will have to pay closer attention to when I buy fruit. Overview: Using some gift cards definitely helped with this week’s groceries. Did a little stocking up on supplies and totally forgot other supplies, oh well, there’s next week, right? I’ll probably look at the personal hygiene budget next year. My daughter is the Lucky Charms lover. I don’t know what it taste like but I know there’s marshmallows in it and I don’t like marshmallows. Good on you for realizing that you need some support and seeking it out. Hopefully we can help. 1. While I totally agree that it’s a good idea to stock up on every day items that are at their lowest for the time period (knowing your prices are SO important), it might cause problems for you as you find your feet. You might say to yourself “the price is so good and even though I don’t need them, I have the money and they’re on sale, I have a coupon…”. At the end of the month, your cupboards are stocked with things that you don’t feel like eating anymore, have expired (some things do) and while they were at a good price, different things have come along that are at an even better price. A year and a half ago, I decided to (generally) shop for one week at a time for my family of four. The only stock up exceptions were peanut butter, cereal, beans (canned or dried) and meat. I would only buy a few months worth of the first three and an extra months worth of meat. Since my meal plan depends on the flyers, I find that I’m not eating the same amount of things like mayonnaise, plum sauce, mustard, shrimp sauce, BBQ (you name it, I have 5 of each in my cupboard). Since that time, I’ve reduced my already low food bill by an additional 10% and our food waste is almost zero. Yes, we’ve had breakfast for dinner a few times and/or very odd pairings of food but that’s the exception and not the rule. I always make sure to have frozen veggies and fruit (or I dehydrate items) to get us through the last few days. The best part is that all of us have discovered foods that we hadn’t tried before and are all healthier for it. 2. Another item that would go with coupons is BOGO (Buy One Get One). I generally avoid them. I find that I can buy one on sale, reduced and/or with a coupon for less than the price of having two. And, it’s only good to have the extra if you will actually use it before it expires (although most stuff can be frozen), need it and/or won’t eat double the amount just because you have it and don’t want to waste it (or money). 3. Shop the perimeter because generally, those items don’t go on sale. Although, milk and even eggs have started to go on sale recently (sweet!). I’ve been playing the GGC Challenge for almost the entire 6 years and I am still learning how to tweak my shopping habits to get the most bang for my grocery bucks that I can. I have recently started a new trend for myself. I shop once a month unless there’s a good sale that it does not make sense for me to pass up. If I don’t go to the store, I don’t spend money. Funny how it took me 6 years to figure that out! This week was supposed to be a NO SHOP WEEK for me but I NEEDED cream to make some of this week’s meals, I WANTED watermelon and it was a GOOD PRICE and our crab cakes we love were on a 1-day sale so I picked up enough for two meals for hubby and I and froze them. My first suggestion is to build up a good pantry with the canned and dry good that you always use. Once you are well stocked, you only need to replenish when the items are on sale. My second suggestion, take only your cash envelope with your $85 with you…no credit cards, no debit card. You can’t buy what you can’t pay for. 🙂 I have my hubby as my conscience… so if it’s not on the list…it doesn’t get into the cart. 🙁 Sometimes I REALLY don’t enjoy his stick-to-it-ness. We are for the most part, we are hanging in there with this no shopping routine for the month. Thank goodness my canned and dry goods are well stocked because I have had to hit the pantry & freezer a few times in order to create some of our nice light summertime meals. My fridge and crispers are looking rather empty at this point though. Thank goodness I only have one more NO SHOP WEEK after this one to survive. This week is all about fun and exploring! Hubby started the next piece of his holiday schedule last Friday night as he left the office. This time he has 2 weeks off! Yay! We are in for a heat wave this week – it’s going to be 100 F most of the week so early-in-the-day adventures are the name of the game! I wasn’t going to post this week but I’m still working on my month end and haven’t turned off the computer yet so when I saw Mr CBB’s post…I figured why put off until tomorrow what you can do today. Before I close out the month of July, I’ll move our $0.28 remaining over to our re-stocking reserve. 1 Watermelon – 20 lb @ $5.98 < I have fallen in love with watermelon salads…I just can’t get enough! $ 125.70 Holiday Season Fund + $200 RCSS POINTS + $10 Dream Air Miles. OUR CURRENT TOTAL UNUSED RESERVES ARE $1,415.59. This means the $1,274.44 that we carried forward from 2016 PLUS AN ADDITIONAL $794.38 that we have added in 2017, LESS $653.23 that we have drawn out for use in 2017. Well I’m glad you came around to post. 🙂 I hope your holidays are going well. How do you make your watermelon salad? We add feta to ours however since we don’t eat it any longer we haven’t made it. I know I have photos somewhere of our salad as I was going to use it on the blog for a recipe but it was too late as we ran into Fall. I love that you are serious about your cents.. many people aren’t BUT they all add up and should be moved accordingly even if it is only $0.28. Have fun on your holidays and I look forward to that stock up post when you get back. Have a great time Larry and Mary. Mr. CBB You get Ballot #1.